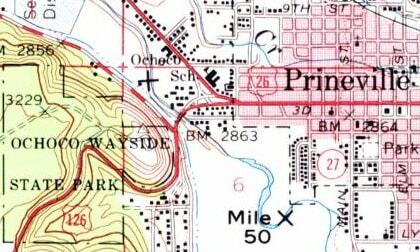 Two years later, the "US 99 cutoff" (now part of I-5) was completed; then US 99 used the flyover ramps from Franklin to I-5. 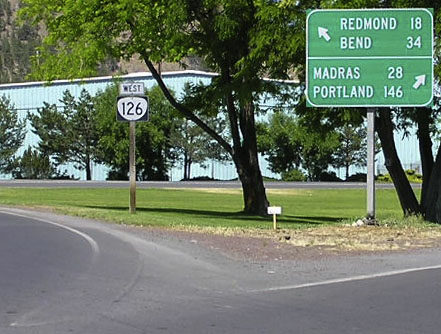 So the US 126 designation had to be extended about a mile west on former US 99 to the new freeway (today's exit 192). 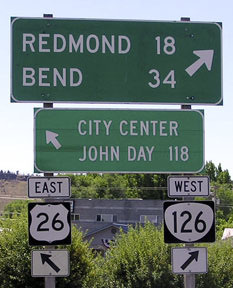 Interestingly - because the new interchange provided only partial access - US 126 also had to be extended south along former US 99 to exit 189. In other words, it had a split terminus (photos, maps, and more info on the Eugene page). last updated Nov. 2, 2016.